Ghanaian Hiplife artiste Danso Abiam has revealed he will become a farmer if he doesn't win VGMA Artiste of the Year award in 2020. Speaking in an interview on Hello Fm in Kumasi, the ‘Ghanaian Lady’ hitmaker, despite the intense competition, is optimistic of winning the VGMA Artist of the Year in 2020 based on hard work. “Yes I know there’s high competition in the music industry. It has been long since I won an award and this is the time. With the kind of team am working with currently and my new record label, all I can say is I’m winning 2020 VGMA Artiste of the Year hands down if not I will quit music for farming,” Danso Abiam noted. 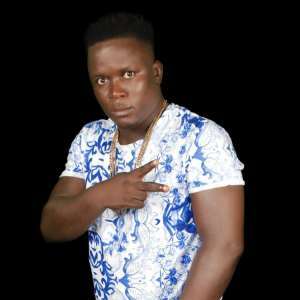 Danso Abiam who has been away from the music scene after the release of his two hit songs, “Ghanaian Lady” which he featured Sarkodie and ‘Farmer’ featuring Keche which shot him to fame in 2008 is confident of winning the VGMA Artist of the Year in 2020. Danso Abiam is currently signed under Carlsberry Empire and promoting his new song “Ebewo Wofie” which features Ghanaian rapper Donzy.